You’ve got to admit, it’s a pretty good title. And a decent premise. 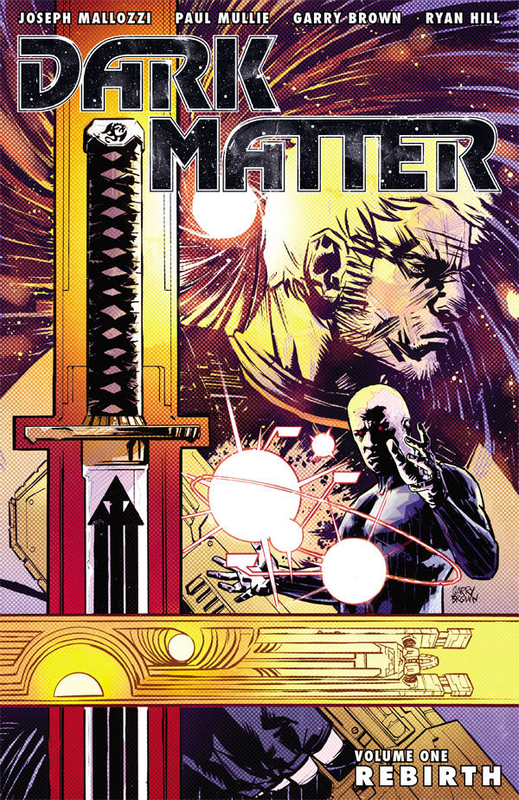 Dark Horse Comics’ announced the purchase by Syfy Channel of the rights to the 2012 comic book release Dark Matter, a story about a group of space travelers who awaken from stasis on a spaceship with no memory of how they got there. Stargate SG-1 and Stargate: Atlantis writers Joseph Mallozzi and Paul Mullie, who wrote the Dark Horse series, will also run the new TV series. Prodigy Pictures, who produced the Vancouver-based Lost Girls, will produce Dark Matter for Syfy. Bringing some past talent from proven shows gives us hope for this series. The crew of the Raza are known by numbers one through six: three men, two women, and a kid. 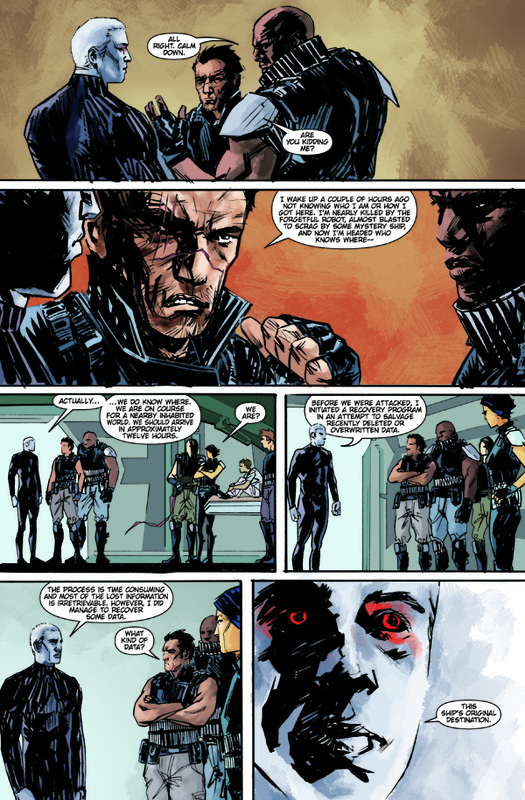 One of the men was drawn to look like Djimon Hounsou. By the looks of the comic book art, the cargo-looking ship could exist in the same world as Firefly’s Serenity. 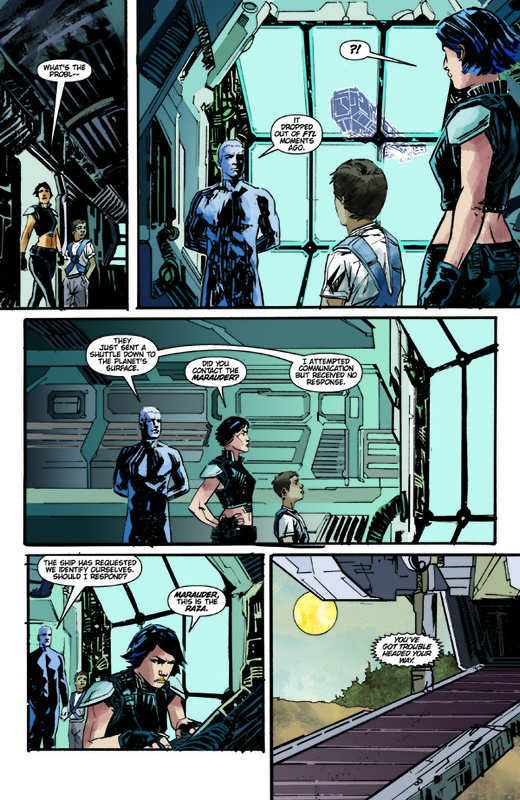 Here’s the description from the comic book: When the six-person crew of a derelict spaceship awaken from stasis in the farthest reaches of space, their memories of their pasts have been wiped clean. 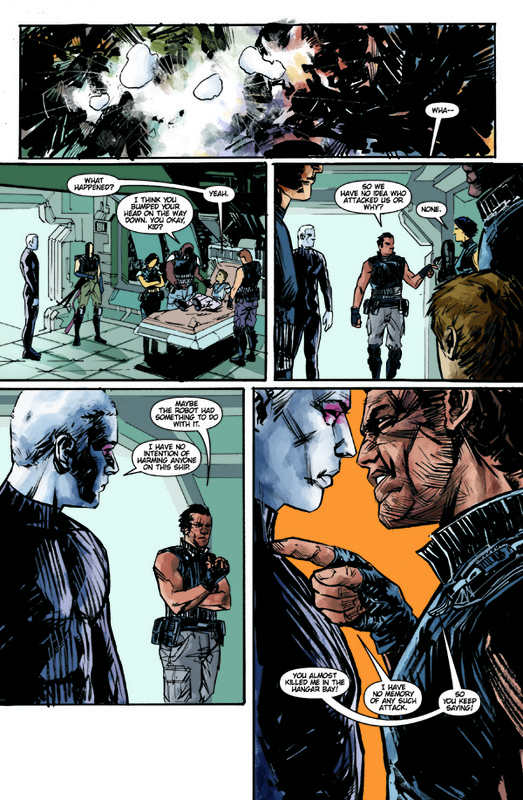 The only clue to their identities is a cargo bay full of weaponry and a destination–a remote mining colony that is about to become a war zone. Planet of the Apes, Alien, Lost in Space, the Star Trek: The Next Generation episode “Conundrum,” Total Recall–the story looks to borrow elements from some good sci-fi stories. You can get caught up on the backstory for the series in the Volume 1 trade paperback of the comic book series here from Amazon.com. Look for 13 episodes of Dark Matter in Syfy Channel’s primetime line-up in 2015.